News :: Healthy Kids Day - Glide Bikes - Balance Bikes for 18 months to 10 years old! Wilmington NC is taking a step towards city-wide education and experience to encourage a dialogue that will help inform people about health and fitness all while promoting community. 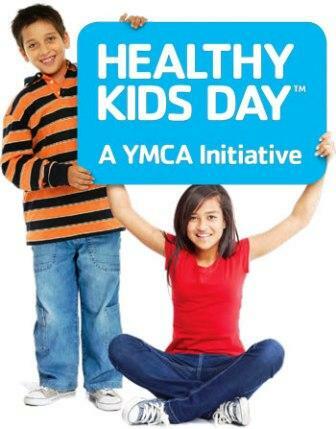 YMCA and the City of Wilmington are combining their efforts once again to host the 4th annual Healthy Kids Day event in Wilmington, NC. Taking place at Empie Park on April, 25th 2015 the event starts at 9:30 AM and goes until 1:00 PM. Admission is free and the activities available seem almost endless. The event is the culmination of groups dedicated to health practices, education and even includes health screenings. Healthy Kids Day started as an effort to increase the physical activity that children are exposed to during the summer, offering them opportunities to remain engaged in educational pursuits, and providing them with the ability to interact and connect with others and their community. While kids are busy checking out the vast selection of group and individual sport events available to participate in, parents can parous the sponsorship booths to be up to date with health education and opportunities available for families to stay fit and active throughout the summer. The sporting events available include tennis, lacrosse, volleyball, T-ball, soccer, and basketball. Other activities that will be provided include kids Zumba, yoga, a bicycle obstacle course and a 1 mile fun run/walk as well as a face painting booth. Health education booths and health screenings will be open to the community as well as a farmer’s market. Check out the Healthy Kids day Website and visit the event at Empie Park this Saturday.